HYPNOTHERAPY - Psychotherapy, NLP, Coaching, EFT, Hypnosis, Counselling, Hypnotherapy Grantham, Newark, Sleaford, Nottingham, Lincoln, Melton Mowbray, Stamford. Hypnotherapy in Grantham, also offering clinical hypnosis and hypno-analysis, hypnotherapy supervision, meditation, stress management with CBT, Emotional Freedom Techniques EFT, Life Coaching, NLP. Hypnotherapist in Nottingham, Lincoln, Lincolnshire, Stamford, Melton Mowbray, Newark-on-Trent, Grantham, Peterborough, Leicestershire, and Nottinghamshire. Do you need to unwind, chill, relax, de-stress and slow down into an altered state of awareness ? Are you under pressure? Well, meditation is NOT the answer in this context. But hypnotherapy is ! Meditation of course widens our conscious awareness and re-connects us with our higher consciousness. But we are unable to do meditation well or properly when we are stressed. Our mind is like a TV that isn’t tuning properly. Everything is distorted and disrupted or doesn`t gel very well. Trying to meditate when you are feeling pressure and stressed is not going to work properly or not work at all. Negative Stress is very dangerous !! Stress isn’t just a state of mind. It can also seriously harm the body. Stress makes our immune systems less effective because it actually elicits an immune response itself. Stress causes the body to release pro-inflammatory cytokines, immune factors that initiate responses against infections. When the body produces these cytokines over long periods of time for instance, as a result of chronic stress all sorts of bad things can and often do happen. Not only does it hamper our body’s ability to fight infection and heal wounds, but chronic inflammation also increases our risk of heart disease, osteoporosis, and autoimmune diseases including type 2 diabetes. Not to mention Stress kills our libido and our enjoyment of life. It destroys our power and cuts off the internal flow to our creative and innate talents and abilities. 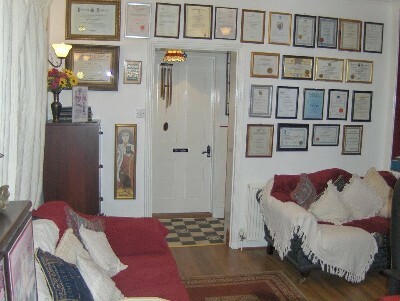 That is exactly where hypnotherapy in Grantham comes in to help with negative stress. Grantham Hypnosis helps people into an altered restful state of awareness where they become receptive to suggestions that are for their benefit and with their approval – ideas, concepts and new thoughts to heal the mind. When one`s body is at ease then mind healing can finally begin. The more sessions you do the better you get at relaxing. The Hypnotherapy Clinic in Grantham now offers you an excellent service to do just that with an hours session for only £60. You will leave the Clinic of Hypnotherapy and Holistic Practices with Dr. Michael G Millett feeling refreshed, rejuvenated and confident  more able to take on the challenges of everyday life. Michael is a qualified hypnotherapist since 1995, he established a very successful private practice in the heart of London, Elevated Therapy International ®- which developed into one of the most recognised hypnotherapy practices in the country for all people that are serious in getting beyond their problems and issues and reach their full potential. He is now a supervising hypnotherapist as well as being a professional hypnotherapy practitioner now located in Grantham and very skillful over many years and with all issues and more. Book now for that positive feeling factor ! Group sessions can also be arranged. The sessions are designed to promote an inner sense of well-being WITHOUT addressing specific issues. The hypnosis side of the session lasts about 45 minutes and there is another 15 minutes to give clients the opportunity to understand the process and discuss any matters they might wish to bring up. Appointments 7 days per week and two late evenings. Stress Management Grantham. Stress Grantham. Grantham Stress Clinic. Help with Stress Grantham. 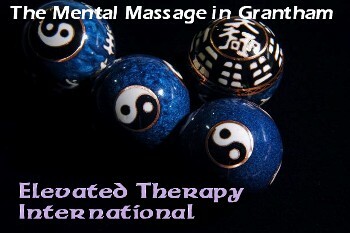 Relaxation Therapy in Grantham. Now you can capture that magical ingredient that puts you on top of your game with Sports Hypnotherapy Nottingham, Newark and Grantham. Make the difference that makes the difference between those days when you’re really playing well and those days when you’re completely off your game by availing of Hypnotherapy for Sports Improvement in Nottingham, Newark and Grantham. Read Dr. Millett`s article “The Power of Limiting or Empowering Beliefs“- now ! Hypnosis is used by top athletes to improve their game as a legitimate form of enhancement to achieve significant gains in their personal performance, regardless of their sport. Hypnosis or Hypnotherapy with Dr. Michael Millett located in Grantham can make the difference for every athlete who wants to gain a competitive edge. finding yourself effortlessly achieving more in your sport or game. overcoming present and new challenges. staying calm and collected under pressure. training better and harder with more ease. Hypnotherapy for Depression in Nottingham. Hypnotherapy for Depression in Grantham. Hypnotherapy and NLP as well as the “Energy Therapies” such as EFT, TAB, TAT, The Power of Three and Emotrance etc, are tools of change at the unconscious level. This is where change really counts, at the unconscious level! At Hypnotherapy in Nottingham and Hypnotherapy Grantham, I have found them to be very positive and quick in helping relieve symptoms of depression. This is often the case as these applications can work with the cause of depression. Of course, the symptoms of depression are different for different people but it is true to say, it is a terrible situation to find oneself in and one needs to act and get the right help in time. Estimates vary on the number of people suffering with depression at any one time, the UK Office for National Statistics state the figure at 10 per cent of the population. In terms of how many people will develop depression at some point during their life time, the figures range from one in six to one in four. Many professionals support a combination of drug therapy and psychotherapy, but more and more studies show that medication is unnecessary or can be reduced if the sufferer of depression receives the right sort of help. 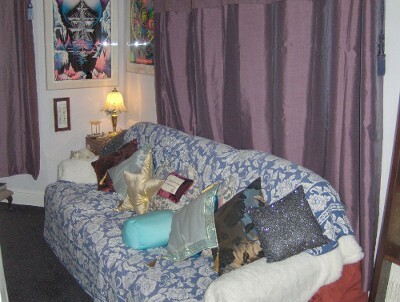 This help can include Hypnotherapy, NLP, EFT and other `energy therapies`.